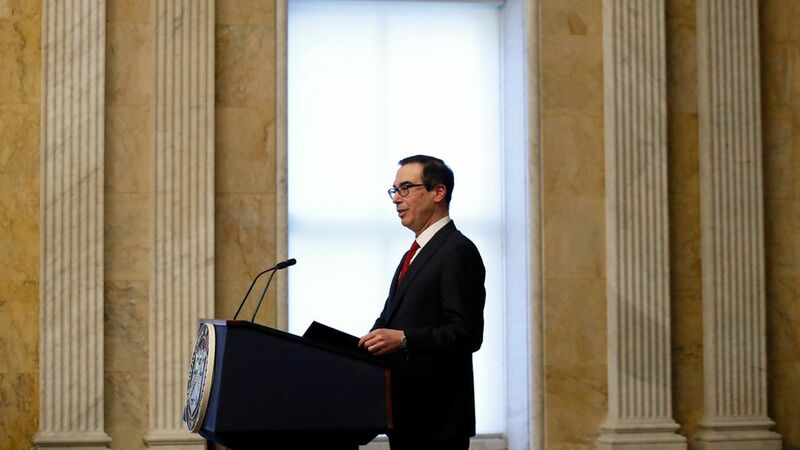 Treasury Secretary Steven Mnuchin has been citing a report that he says, once released, will show the GOP tax plan will pay for itself with economic growth. But that report doesn't exist, according to an economist in the Treasury office supposedly drafting models on the impact, the NYT reports. Why it matters: Senators are aiming to pass their version of the tax bill today or tomorrow, and the question of whether economic growth can account for the tax cuts and avoid ballooning the deficit is at the heart of policy negotiations to win over holdouts on the bill. It's throwing some Republicans for a spin who are opposed to the mechanism that could be added to the bill to account for potential lack of economic growth. Bottom line: The report Mnuchin is talking about would help the administration's case, especially since both the Penn Wharton Budget Model and the conservative Tax Reform analyses show the tax plan won't pay for itself. And according to 37 of 38 economists' current estimates about economic growth, the tax plan doesn't show it would bring substantial economic growth, per a University of Chicago survey. Go deeper via the NYT: "Republicans Say the $1.5 Trillion Tax Bill Pays For Itself, but Experts Disagree"Republicans Say the $1.5 Trillion Tax Bill Pays For Itself, but Experts Disagree"